Blepharitis, inflammation around the eyelids, can be extremely frustrating to deal with throughout the day. If left untreated, it can become a chronic condition that can significantly hinder the ability to complete necessary daily tasks such as driving, reading, or even falling asleep. 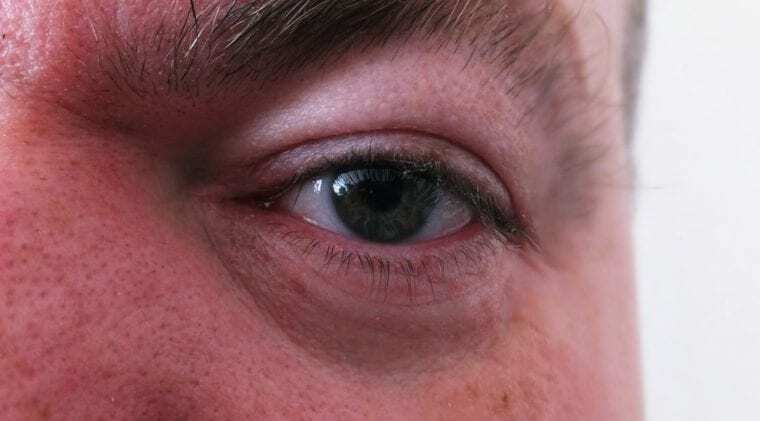 In this article, we will explain exactly what blepharitis is, the different types of blepharitis one may develop, what causes it, and how to properly treat the underlying symptoms through the use of simple home remedies. We will also highlight various other preventive techniques and suggest other options if symptoms don’t improve from home treatments. If you’ve ever suffered from blepharitis, then you know how annoying it can be. By educating yourself on what exactly it is, how you can prevent it before it occurs, and treat it if it does arise, you can avoid it constantly affecting your daily routine. Blepharitis is the term used to describe inflammation that takes place around the base of your eyelids and eyelashes. Although commonly confused with eye strain, it is actually different than eye strain in that it only pertains to swelling and redness around the eyelids and eyelashes. It does not pertain directly to actual pain from straining your eyes. However, much like eye strain, blepharitis has become more popular since there has been an increased use in technology over the course of the past several decades. While there are certain activities that have been known to correlate with blepharitis, it can affect anyone at any time, regardless of age. While we dive deeper into each symptom in the next section, blepharitis usually includes itchy, irritated eyelids and a burning sensation in the eyes. In most cases, blepharitis isn’t indicative of a serious condition, but it can hinder your daily routine significantly and should be promptly treated. In rare cases, chronic blepharitis develops into more serious conditions, such as a stye, chronic conjunctivitis or injury to the cornea. With that said, you should be able to quickly relieve your symptoms and return to normal by following the advice and techniques presented in this article. Blepharitis is actually a rather complex condition and presents itself in several different forms. It is broken down into two different forms: anterior and posterior. Each form requires its own unique treatment procedure, which we explain for your benefit. Also, treatment procedures will vary based on whether your blepharitis is acute or chronic. The most common form of blepharitis is what is known as anterior blepharitis, which is considered swelling on the front edge of the eyelid. 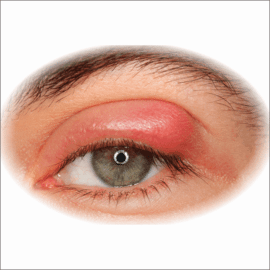 Anterior blepharitis can cause the eyelids to become red and cause irritation and pain. While the causes differ for anterior blepharitis, it is most commonly the result of a buildup of bacteria or dandruff of the eyelashes. A main symptom you will notice with anterior blepharitis are flakes and crusts on the eyelashes. Posterior blepharitis is usually brought on by an excessive secretion of low quality oil in the eyelid region, or a decrease in the oil being released from the eyelid glands. This is also known as Meibomian gland dysfunction. It affects the inner edge of the eyelid that actually touches your eye. As a result, posterior blepharitis has a better chance of developing into a more serious condition, so it should be treated promptly when the initial signs are noticed. It is also important to distinguish the difference between an acute condition and a more chronic form of the condition. Although chronic blepharitis is usually considered to be worse, acute blepharitis can actually be more damaging and far more painful. 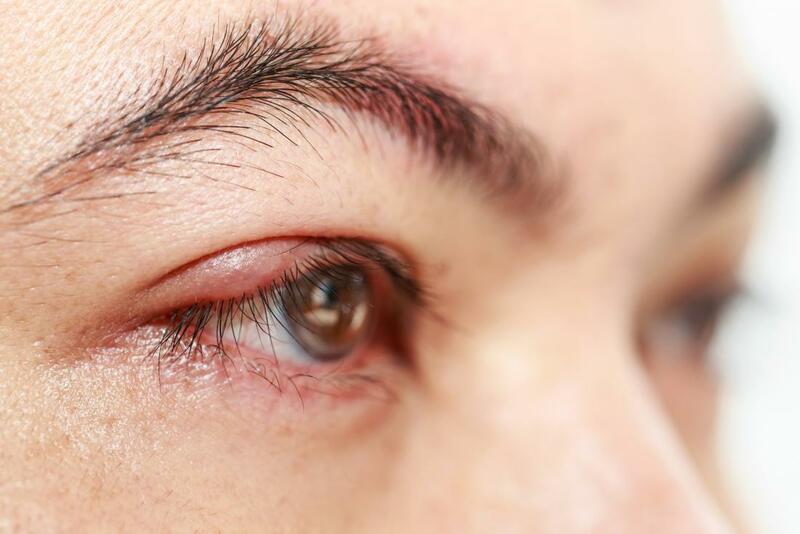 Acute blepharitis refers to inflammation around the eyelid that comes and goes quickly, but is typically very distracting and painful for the duration that it lasts. On the other hand, chronic blepharitis is typically much less painful but lasts for a longer period of time. In many cases, those who suffer from chronic blepharitis learn to live with the condition without ever taking the necessary measures to treat the condition. However, untreated chronic blepharitis can develop into a more serious condition. 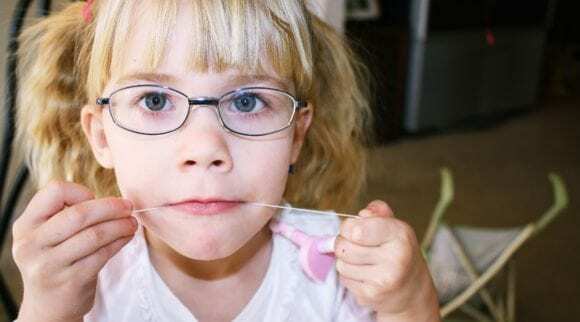 After determining the exact cause, it is much easier to know the necessary treatment procedure. Blepharitis is often referred to as a bacterial eyelid infection. While it is often the result of a bacterial infection, it isn’t always the result of bacteria. Therefore, it is important to create a distinction between the two. With that said, bacteria is believed to be the number one cause of the onset of blepharitis. So how does this happen? Quite simply, most people don’t think to wash their eyelids on a consistent basis. As a result, bacteria is able to build up, leading to an infection on or around your eyelids. 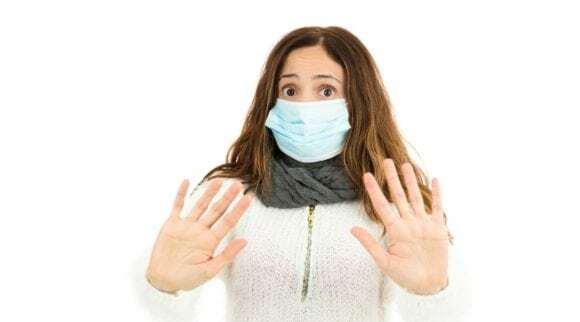 While many may mistake this as bad hygiene, it is understandable how one might encounter a buildup of bacteria without realizing it is even taking place. Blepharitis that is caused by a bacterial eyelid infection can easily be treated by regularly washing your eyelids on a consistent basis. Although rosacea is often far more noticeable than a simple case of blepharitis, rosacea can trigger an episode of blepharitis. Rosacea by definition is a common skin condition that causes redness and visible blood vessels on your face. Although it is similar in symptoms, rosacea is a completely different condition than blepharitis. However, blepharitis usually accommodates Rosacea. In order to treat blepharitis that is onset by the condition rosacea, you should eat and drink items that are natural anti-inflammatories and use eye drops to keep your eyes from drying out (remember, however, that eye drops are not treating the issue…they’re just covering up the symptoms). Aside from diet changes, another form of treatment for Rosacea, a completely separate issue, is to take oral antibiotics and other medications that reduce inflammation. Neither Rosacea nor Blepharitis that may accommodate it is serious, but both can cause some discomfort and insecurity with one’s appearance. Therefore, it is absolutely important to take a hard look at your diet and incorporate as many anti-inflmmatory foods as possible. When your eyes are dry, they become irritated. 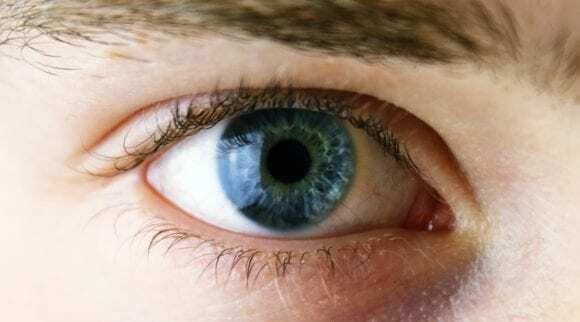 The irritation caused by dry eyes can lead to your eyes becoming sore. You subsequently are at risk of developing blepharitis, although blepharitis is also a well known cause of dry eye. For those whose job requires them to spend hours upon hours in front of a digital device or on the road, they are at a slightly higher risk of developing blepharitis if they don’t take the necessary steps to prevent dry, sore eyes from developing. In addition, dry eyes can lead to eye strain as well, adding to the initial stress caused by the blepharitis. 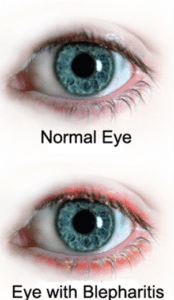 Whereas a bacterial eyelid infection is usually accommodated by an acute form of blepharitis, dry eyes usually lead to a more chronic cause, leading many to not properly treat the condition as the symptoms aren’t nearly as painful. Blepharitis and dry eyes are easy to treat and can be done by simply giving yourself more breaks from activities that put strain on your eyes, keeping your eyes lubricated through the use of artificial tears and a humidifier, and ensuring that your eyelid hygiene is optimal. We’ll go into details about treatment later. Meibomian Gland Dysfunction occurs due to a malfunction of the meibomian glands in your upper and lower eyelids. By definition, Meibomian Gland Dysfunction is blockage or some other abnormality of the meibomian gland that prevents them from secreting enough high quality oil into the tears. MGD is also known as posterior blepharitis. Although MGD eventually will lead to dry eyes, the root cause is much more complex, which is the blockage of your meibomian glands. Naturally, the only way to treat Meibomian Gland Dysfunction is to open the meibomian glands back up. In order to do so, it is important to have an understanding of what causes MGD. As we age we tend to have more trouble secreting tears, so the main cause of Meibomian Gland Dysfunction is age. Unfortunately, we can’t prevent aging, but we can keep our eyes lubricated through the use of artificial tears. 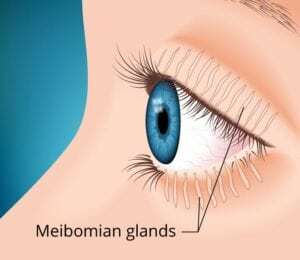 Other noteworthy causes of blockage of Meibomian glands is wearing makeup, eyeliner, or contact lenses, and maintaining poor hydration and a poor diet. 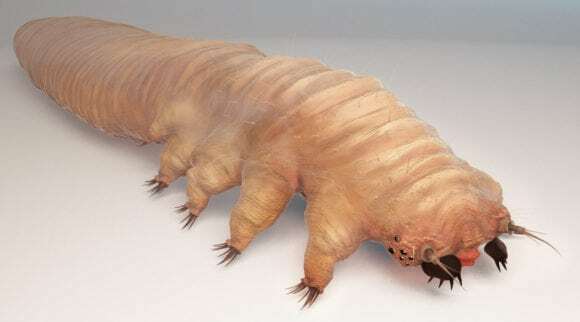 An eyelash mite, otherwise known as demodex, is a parasite that is commonly found in the follicles of the eyelash area. Typically, eyelash mites aren’t as harmful as they may sound. Most people who experience eyelash mites carry on throughout their everyday routine never even realizing that eyelash mites are feasting off of oil secreted from their face. Scary, right? However, demodex eyelash mites can cause blepharitis in some cases. 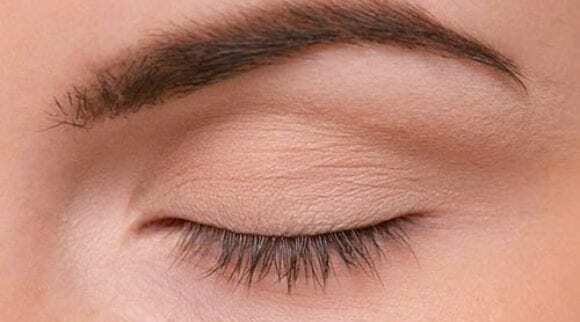 While you may not ever actually know that this is indeed the cause, you can help prevent this from ever being an issue by practicing good eyelash hygiene, a trait that is neglected by most individuals. If eyelash mites are the cause of your blepharitis, the symptoms should subside fairly soon with the proper treatment procedure and preventive techniques. Although it is rather uncommon, the side effects of certain medications like antibiotics is one of the blepharitis causes. You should be able to determine whether or not a medication is causing your symptoms by tracking your medical history and talking with your doctor. If you recently started taking a new medication and your blepharitis is fairly recent as well, then you should feel confident that the two are related. Oftentimes, the reason medication can lead to it is because some medications suppress your ability to secrete oil and lubricate your eyelids. As a result, dry eyes develop and can lead to blepharitis. While discontinuing medication is rarely an option, learning the underlying symptoms that are leading to the blepharitis and treating those symptoms specifically is the best way to eliminate your symptoms and prevent it from developing into a more serious concern. Regardless of the treatment technique that work best for you, the important thing is that you take action and avoid neglecting your chronic or acute blepharitis. Place a clean washcloth inside. Cover it completely and let it soak for several minutes. Wring it out so it’s damp. Fold the washcloth and place it over your closed eyelids. Be sure to repeat the process every night before bedtime for at least a week, at which point you should start to see improvement. A warm compress helps by relieving pain and discomfort, and adding moisture to dry eyes. It can also help to prevent your eye glands from getting clogged with oil, opening your glands up if they are closed. Despite being extremely simple, a warm compress works wonders on relieving discomfort of your eyelids and reducing swelling of glands around your eye. 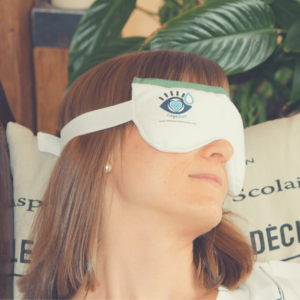 Eye masks are another great way to relieve the symptoms of blepharitis. Much like a warm compress, eye masks are meant to be placed over your eyes and left for an extended amount of time while you are relaxing. They’re much easier than making your own warm compress. 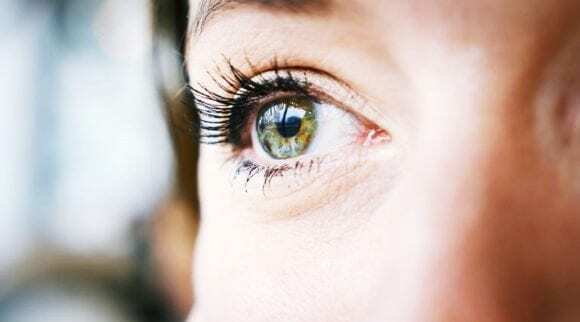 When the symptoms don’t subside over the course of time, it is usually because the eyes are constantly stressed and required to focus for extended amounts of time, causing pressure and swelling of the eyelids. By wearing an eye mask, you are able to give your eyes the much needed rest and comfort they so desperately deserve. 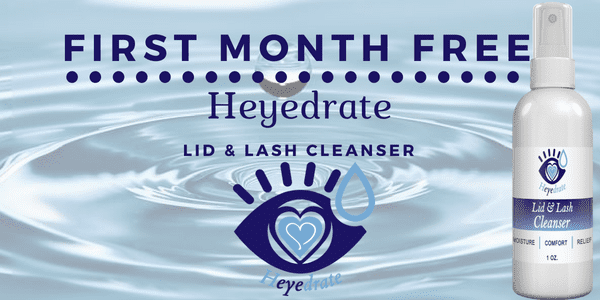 Lid cleansing is the best way to prevent blepharitis from developing in the first place, but it is also a great way to treat the condition as well. As we have previously mentioned, the main cause of blepharitis is the buildup of bacteria or oil on or around the eyelids. By cleansing your eyelids on a regular basis, you can wash away the bacteria and oil buildup and keep blepharitis from developing. The best way to clean your eyelids is to purchase eyelid cleansing products, such as a hypochlorous acid cleanser and an eye makeup remover oil. If you have a job that requires you to sweat a lot throughout the day, you can use lid wipes to keep the oil from building up on your eyelashes. At the end of the day, the important thing is that you practice good eyelid hygiene and keep your eyes clean and oil free. 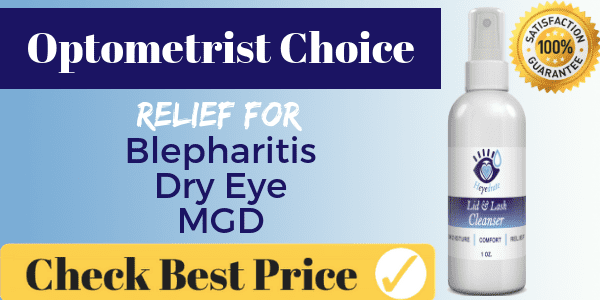 The best blepharitis treatment in the short term is to treat the symptoms themselves, which normally include swelling, dry eyes and eyelid discomfort. The best way to treat these common symptoms is to do something that makes your eyes feel good, such as an eyelid massage. Eyelid massages should be performed after the use of a warm compress eye mask so that the heated oils can be released from the glands of the eyelids onto your eyes. Artificial tears and eye drops are a solution to treating the symptoms of dry eyes, but they are not a cure for it. Quite simply, your eyes are dry because they are not properly lubricated. By adding the lubrication artificially, you are able to give your eyes, eyelids and glands the relief they desperately want. Since dry eyes are one of the more common causes of blepharitis, keeping them lubricated throughout the day is not only a good way to treat swollen eyelids after they occur, but it is a great way to prevent blepharitis from developing in the first place. If you suffer from blepharitis and dry eyes, you can expect to see your symptoms dissipate in a relatively short amount of time when consistently using non-preserved artificial tears to keep your eyes lubricated. One of the leading cause of blepharitis in women is the clogging of eyelid glands from using makeup and eyeliner. Because of this, it is very important to properly remove makeup and eyeliner if you have suffered from blepharitis in the past. 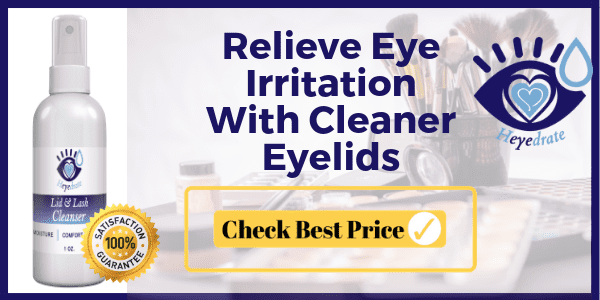 The most efficient way to remove makeup and eyeliner in a manner that keeps your Meibomian glands clear is to use an oil-based eye makeup remover followed by proper eyelid hygiene products. Apply an oil-based eye makeup remover to your closed eyelids and lashes. Gently scrub the eyelids for a few moments to remove the makeup. Thoroughly rinse your eyelids with clean water and wash your face. Follow with a hypochlorous acid eyelid cleanser. By following this process, you should be able to successfully remove eyeliner and makeup from around your eye. In essence, blepharitis is the inflammation of your eyelids. Therefore, the main goal in treating blepharitis is to reduce the inflammation around your eyelids, which can be done by consuming anti-inflammatory products, such as black tea. Black tea is known to be an excellent anti-inflammatory, and it is delicious. If you combine the care techniques, such as warm compress and lid cleansing, at night with drinking a delicious cup of black tea in the morning, you should be able to rid yourself of the annoying blepharitis in no time. With that said, you will need to drink black tea consistently to see results. Ultimately, drinking black tea to relieve your blepharitis is medicinal. Just like any medicine, you will need to consistently take it and not skip days in order to see the best possible results. 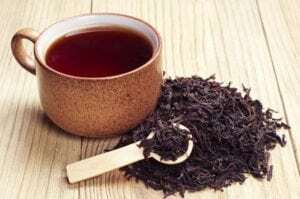 If you want to take the anti-inflammatory blepharitis treatment one step further, you can consume an anti-inflammatory snack along with your black tea. There are numerous anti-inflammatory snacks available that not only can help you eliminate or prevent blepharitis, but are actually delicious as well. 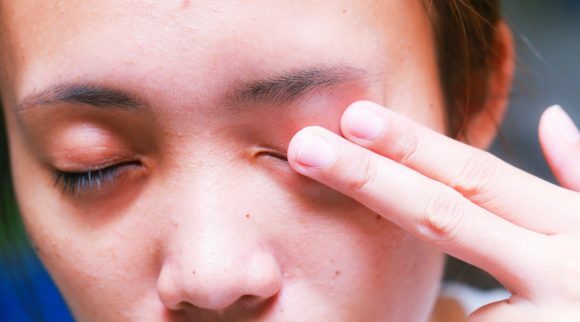 By combining black tea along with one of these eight delicious snacks, you can eliminate your blepharitis in a jiffy, especially if you utilize other care techniques as well. However, do not completely rely on a proper diet to relieve blepharitis. In some cases your condition may require a slight lifestyle change or improved eyelid hygiene as well. It sounds simple, I know. However, the fact of the matter is, blinking works! 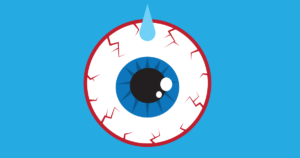 Eyes that are sore and tired are even more of a direct causation than having dry eyes. When your eyes are sore, that’s your body’s way of telling you that you need to rest your eyes. We naturally rest our eyes throughout the day in the form of a blink. Unfortunately, we don’t blink often enough at times. 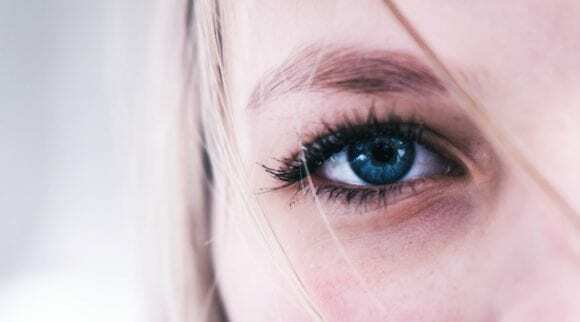 By making a conscious effort to blink more often, you can give your eyes the rest they desperately need, keep them lubricated throughout the day and give yourself a casual reminder to continually take care of them in order to prevent an onset of blepharitis. When attempting to overcome a spout of blepharitis, it is especially important to blink more often and give your eyelids and eye glands the rest and lubrication they need to recover. Using a warm washcloth to relieve your blepharitis symptoms is very similar to the warm compress strategy. However, using a warm washcloth is more about the temperature and less about the moisture of the washcloth. In other words, your warm washcloth should be very warm and far less wet than a warm compress. In order to accomplish this, fill up a pot of water at a really warm temperature. Place the washcloth into the water and let it soak for a moment. After the washcloth is soaked, remove the washcloth and drain it thoroughly, getting as much water out of the washcloth as possible. Place the warm, slightly damp washcloth around your eyes before you go to bed for thirty minutes. Repeat the process twice for the best possible results. While a warm compress can work well for relieving blepharitis symptoms, a warmer cloth with less water can work just as well. If you want to avoid using cloths altogether, check out a dry eye mask! Regardless of blepharitis, taking omega 3 fatty acids is a fantastic way to stay in good health and decrease inflammation. With that said, using omega 3 fatty acids is a great way to relieve your blepharitis symptoms. Omega 3 fatty acids are a fantastic anti-inflammatory, but they are also a great source of healthy, clean oil. 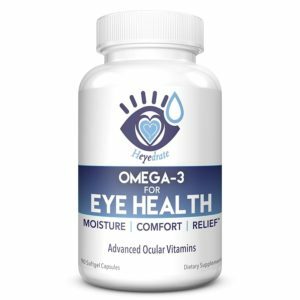 By taking omega 3 fatty acids, you will help keep your eyes lubricated with clean, healthy oil, as opposed to dry eyes or oil secretion that leads to bacterial infections. Omega 3 fatty acids come in many forms. 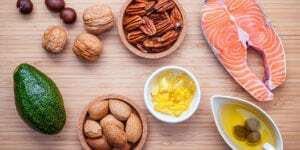 While there are certain foods that provide omega 3 support, the best way to ensure you receive a healthy dosage is to take what is known as fish oil. 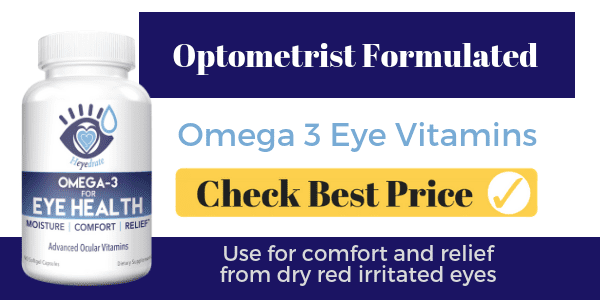 Fish oil typically comes in pill form, and by taking three of the Heyedrate Omega-3 for Eye Health each morning, you can speed up the process of overcoming blepharitis and help prevent it from returning in the future. If your blepharitis lasts for several months without improving, you should see a doctor. While home remedies may relieve all symptoms and help to prevent them from returning in most cases, sometimes blepharitis has a very complex underlying issue, requiring medical attention and prescribed medication to deal with. Blepharitis can feel horrible and significantly hinder your everyday routine if you let it. However, if you are proactive, educate yourself on how to overcome your blepharitis symptoms and take the proper steps necessary to ensure you treat the underlying causes, then you can turn blepharitis into nothing more than a short-term annoyance that is knocked out completely within a couple days. In many cases, you can completely eliminate your blepharitis from ever showing itself again. In order to do so, practicing good eyelid hygiene and care techniques, such as washing your eyelids daily, taking anti-inflammatory and using an eye mask to give your eyes the rest they need, is required. When blepharitis is left untreated and it becomes chronic, there is a chance it can develop into a far more serious condition. Therefore, it is important to do all you can to prevent blepharitis from occurring and promptly dealing with the symptoms of blepharitis if it occurs. 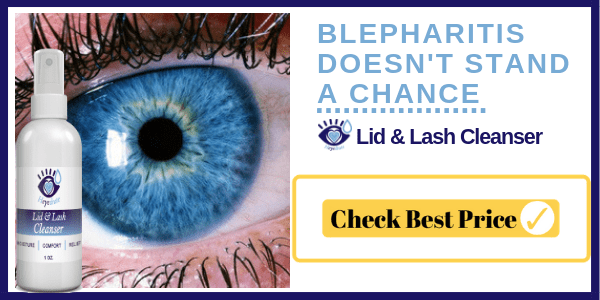 As long as you follow the advice and tips presented in this article and stay consistent with your treatment regimen, you can eliminate the pain caused by blepharitis completely.